Max Gordiyenko examined the small blue shoe in his hand. Made of plastic, the tangible object had been brought to life before his eyes on a three-dimensional (3D) printer that spews hot, molten plastic onto a plate. Just a few moments earlier, the eighth grader had looked at the same shoe in two dimensions on the flat screen of a computer on which he had designed it. 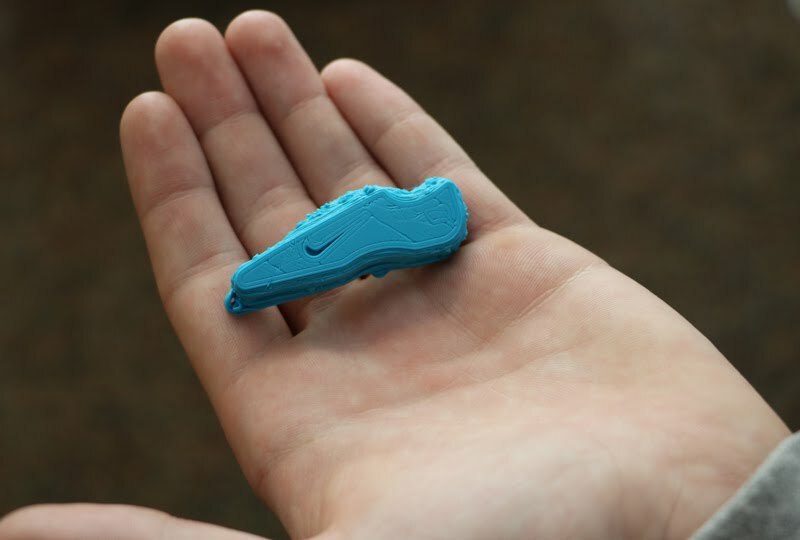 Max created the shoe using a program called Autodesk Inventor in the Design and Modeling class at Chief Umtuch Middle School. 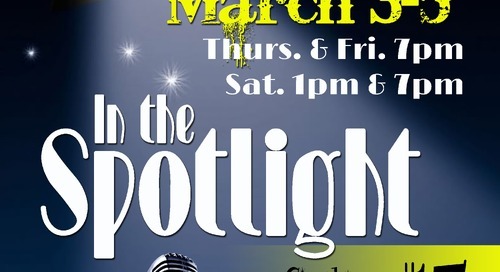 The class is part of the Battle Ground Public Schools' Career and Technical Education (CTE) Program and expansion of Science, Technology, Engineering, and Mathematics (STEM). 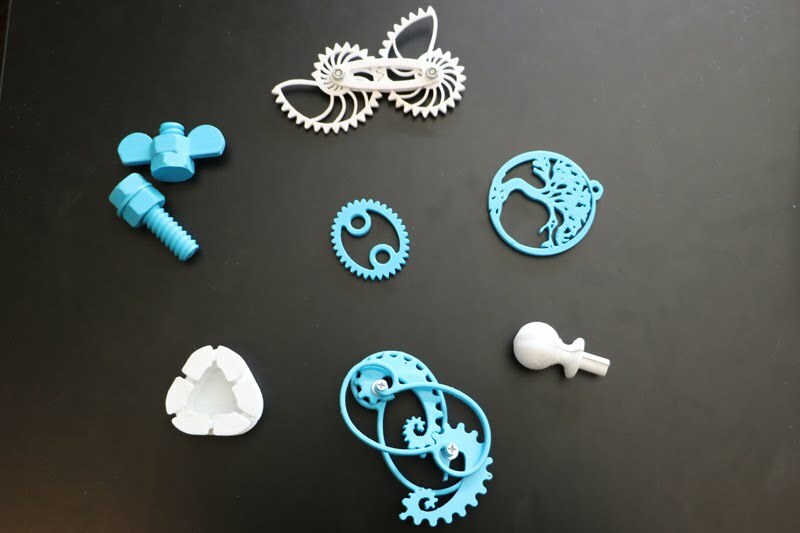 The class employs modeling software to introduce students to the process of designing and creating something, for example, a pendant or gear; and then students can bring the object to life with a 3D printer. Students brainstorm, research and develop ideas and create models and then test and evaluate those ideas and find solutions to problems. This is the first year that seventh and eighth graders could take the Design and Modeling class at Chief. It is part of a plan to expand CTE classes, which are commonly offered at the high school level, into Battle Ground Public Schools' middle schools. Next year at Chief, the school will also offer Automation and Robotics, a class that requires students to apply problem solving, collaboration, teamwork and innovation skills as they learn about mechanical systems, energy transfer, machine automation and computer control systems. 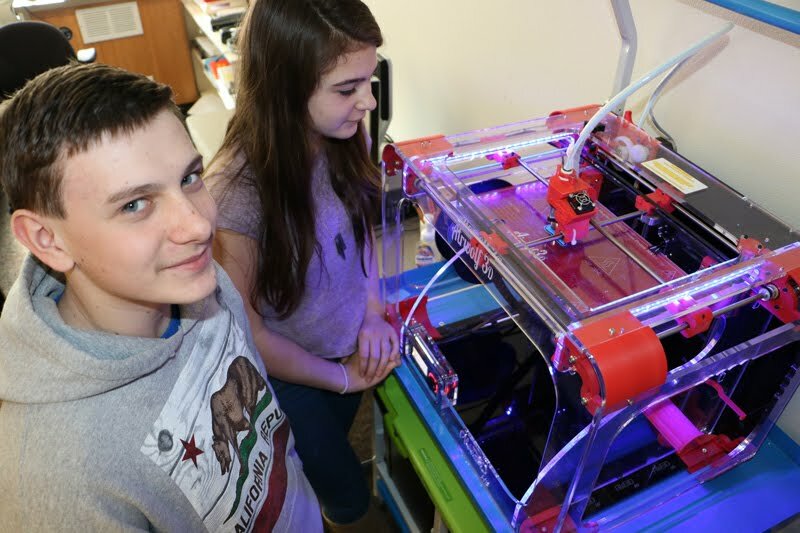 Design and modeling is also offered at Pleasant Valley Middle School, as well as Automation and Robotics, and Daybreak will offer Design & Modeling next year with a 3D printer of its own. The classes follow the middle school curriculum developed by Project Lead the Way, a national nonprofit organization that partners with schools to emphasize hands-on experiences in STEM in an effort to prepare students for academic and professional success in these disciplines. "It's known to be state of the art," said Cindy Arnold, the district's CTE director. "The curriculum lays out what you need and provides for an intensive training for teachers." The Battle Ground Public Schools district has used Project Lead the Way's high school program in its principles of engineering class and others at Prairie High School, and has been working to build a CTE program in its middle schools for the past few years. The expansion has meant planning for changes to middle school buildings, including a renovation of the woodshop at Pleasant Valley Middle School, which now houses a STEM classroom and an adjacent, comprehensive shop. The renovation was partially funded by a grant. At Chief it meant making accommodations to purchase the software and 3D printer necessary to teach the course effectively and to train the teacher. 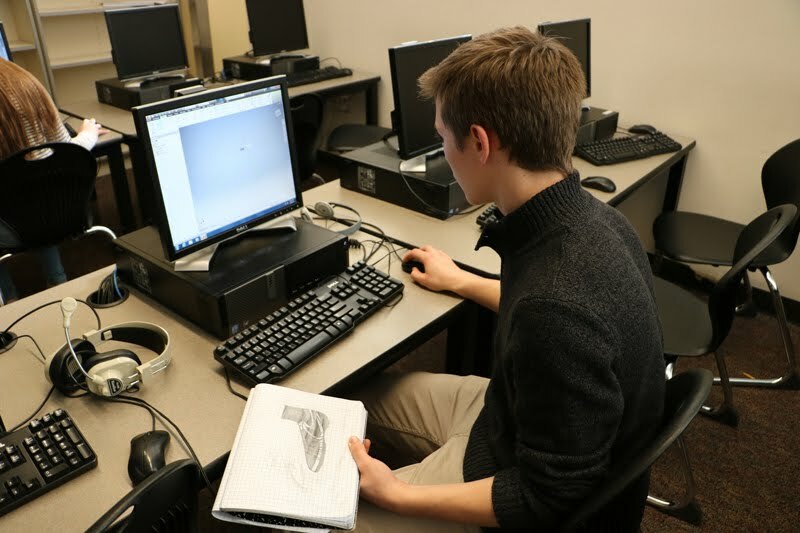 In Denny Denfeld's CTE classroom at Chief Umtuch, students sketch a design for a pendant and then create it in the modeling software on the computer. 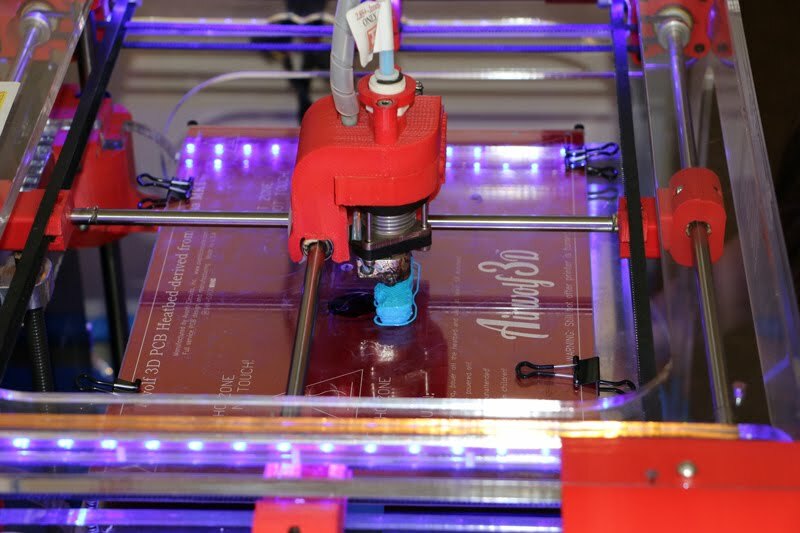 Once the design is complete, students can print it with the 3D printer at the back of the classroom. During the course, students also learn about engineering careers. "It's a thorough program that gives kids a really good taste of what it's like to be an engineer," Denfeld said. He is thrilled about introducing the Automation and Robotics class to students next year. "These are 21st century skills that kids are learning now and can take into a career as a drafter or modeler or engineer," he said. 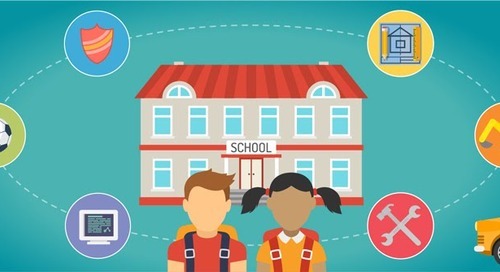 The curriculum makes mathematics and science relevant to everyday life through hands-on projects that show students how the skills they are learning in the classroom can be applied to real-world applications. Morgann Nazaroff is taking Chief Umtuch's Design and Modeling class for a second term, but has taken on the role of a teaching assistant. The eighth grader excelled in the class her first term, and ended up exploring programming. 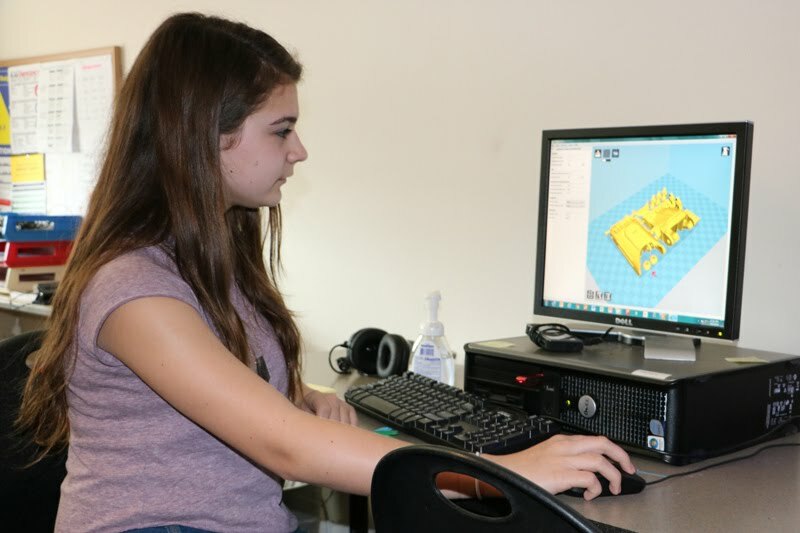 This term she is using her skills and the school's 3D printer to create a prosthetic hand that could be fit to a person who needs it through the e-NABLE Community project. The project uses emerging technologies like 3D printing to create assistive devices at a fraction of the cost of creating them with other technologies. "I enjoy the class," Nazaroff said. "We always have fun and I get to make things."